Long experience – over 25 years. Personalised solution for every pool. Steve is my lifesaver. He lets me know when its time for a service, he cleans, adjusts chemicals and fixes any problems. I never have to touch a thing. I recommend him for a hassle free summer. My pool always sparkles. Steve has been helping me keep our pool in tip top condition for the last four years. Steve knows his work and offers excellent service whether a simple pool clean, providing a pool cover or replacing the whole pump, Steve is on time and professional. I have no hesitation in recommending Deluxe Pool Care and Heating for all your pool maintenance needs. When Steve installed our pool solar heating he did a first class job and I thoroughly recommend him. Steve is totally reliable and professional, very experienced and knowledgeable and a friendly, honest, genuine bloke who is always happy to help. For Cheerie punctual and efficient service use Deluxe pool care and heating . Steve has not missed a beat for the last two years Great service highly recommended. Steve installed our pool solar heating, a really excellent job, we are very pleased with it . He was punctual, efficient and worked hard in very hot conditions. Steve spent time explaining how to work and operated the system. We found him to be extremely trustworthy and cheerful. If you want a job well done we would recommend Steve. I have had Deluxe Pool Care and Heating taking care of my pool for many years now. Steve is always reliable, helpful and prompt and trustworthy and I never have to worry about any aspect of my pool care. The best! Steve quoted me a very fair price for pool heating, He came on time and was very professional with all aspects of the work he completed for me, Also Steve was very fair in helping me out with some pool care questions that i had. if required i will use Deluxe Pool Care and Heating again if i require anymore work to be completed. Never Visit a Pool Shop Again! Deluxe Pool Care and Heating is the only business you’ll ever need to call for all your pool cleaning, maintenance, equipment and heating needs. With over 25 years’ experience in the industry, we have a wealth of knowledge about all things pools and are happy to discuss any concerns you may be having. Operating from a completely mobile workshop in the Rockingham and Mandurah areas, we have everything on hand to thoroughly clean and maintain your pool as well as install and service your equipment. Being a mobile business, Deluxe Pool Care and Heating don’t have to cover the expensive overheads associated with running a retail premises. 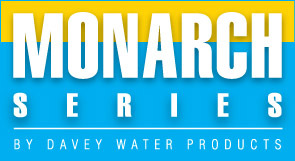 This means we can supply all your pool chemical and equipment needs at highly competitive prices. Regardless of your specific needs and budget, contact Deluxe Pool Care and Heating to discuss our cost-effective services. Deluxe Pool Care and Heating are Rockingham, Mandurah & Baldivis’ one-stop-shop for everything related to pool cleaning, equipment service and installations, maintenance and heating. A family-owned and run business, Deluxe Pool Care offer the highest quality service and individually tailor our services to suit each customer’s needs.